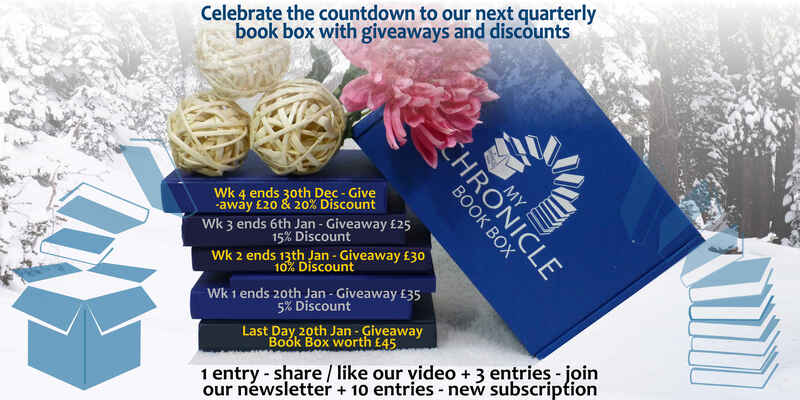 To celebrate the countdown to our next quarterly subscription book box, for the 4 weeks starting 23rd December, we have some fantastic subscription book box giveaway prizes and special offers. For any gift voucher prize winners, you can choose to keep for future use, or have cashback on an existing subscription, so no need to delay, subscribe now to your favorite genre Crime & Mystery or Sci-Fi & Fantasy! Also, because I hate small print exclusions, all coupon codes can be used along with gift vouchers. 3 Weeks to Go: £20 Gift Voucher, winner selected 30 December – Congratulation to Lorraine! 2 Weeks to Go: £25 Gift Voucher, winner selected 6 January – Congratulation to Sara! Last Day! 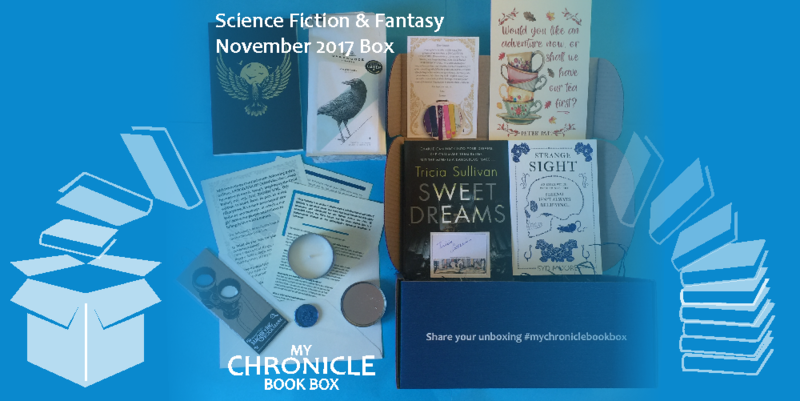 : November 2017 book box worth £45, winner selected 20th January! 3 entries for signing up to our newsletter, sign up below or here. No giveaway accounts please, genuine book lovers only! All entries carry forward to the next prize draw, so 5 chances to win if you enter before end of the 30th December. Cancel your subscription to the newsletter or book box anytime, but winners forfeit their prize if first purchase cancelled. Gift vouchers can be exchanged for cashback on existing orders as a refund, and will be initiated on the 21st January 2018. Please allow up to 5 working days for the transaction to complete depending on how you paid. The grand prize of a book box will be shipped free within the UK, international postage costs not included.